What a cute gift for yourself, a sewing/quilting friend, a Mother’s Day gift or a special gift for your favorite person. 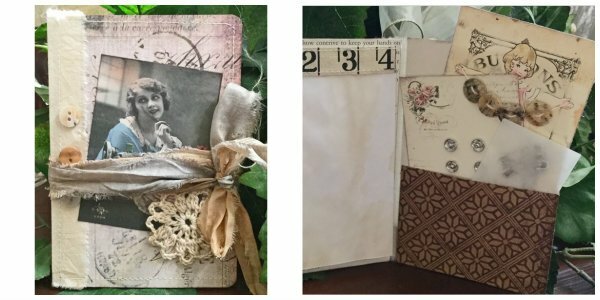 Make a little notebook to carry along with you or keep handy in your sewing room. The dimensions of the book are 4”X 6”. Inside there’s a place for taking notes and a pocket to hold your vintage sewing items. Tie with a ribbon or leave as is. This is quick and easy and can be adapted to other themes.